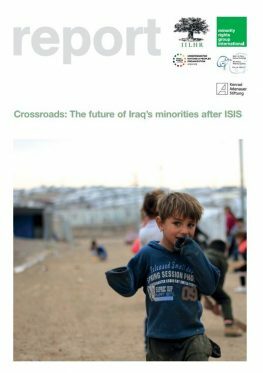 Crossroads: The future of Iraq’s minorities after ISIS draws on extensive fieldwork, interviews and desk research to highlight the ongoing plight of Iraq’s ethnic and religious minorities, as well as their uncertain prospects for the future. Despite the recent retaking of Iraqi territory from Islamic State of Iraq and al Sham (ISIS) forces, minority populations – already disproportionately subjected to human rights abuses – continue to diminish. Amidst competing land claims and the absence of clear security measures to protect, rebuild and encourage returns, minorities remain vulnerable to discrimination, persecution and targeted attacks. 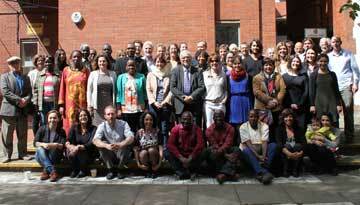 Emigration from Iraq has continued at a steady rate among minority communities. Meanwhile, some observers predict as many as 600,000 to 1.2 million persons will be displaced as a result of the Mosul offensive. Returns to areas retaken from ISIS are very slow, due to an absence of adequate security and reconstruction assistance, as well as outright obstruction from political and military authorities in retaken areas. Combined with insufficient resources, this has resulted in a situation where millions of civilians still have little or no access to adequate shelter, sanitation or basic services such as education. The Iraqi government, Kurdish authorities and international community have so far failed to reach an agreement on accountability, peace-building and reconciliation in the aftermath of the conflict. This publication, building on its findings, presents a series of recommendations and concrete steps to support return for the millions displaced by conflict and strengthen the possibility of a stable political settlement in Iraq.